Star actress, Stephnora Okere, is alleged to be enjoying a sizzling romance with Zakky Azzay, and the singer is said to be spoiling her with love, care and great affection. These love birds began their love affair not too long. They met at a church ( Fountain of Life) where they worship and ever since, they have been constantly been in touch. Stephnora who was deserted by her husband not long ago met Zakki at an event on the Island and one thing led to another, and they became an item. Although both are said to be going about the affair discreetly, they are still sometime seen together in public. A case in question was a private valedictory dinner in honour of former skipper of the Super Eagles, Austin Jay Jay Okocha. They attended together which later became a subject of discourse amongst the friends of the musicians who were also there. What is said to be baffling many now is the fact that Zakki has a beautiful wife, who about a month ago gave birth to their third child. When asked if they were together at Jay Jay Okocha's valedictory dinner at Planet 1, Maryland, Lagos, he admitted it “Yes, we moved together and we danced together. But I feel more comfortable relating with actresses than others. I never had anything in mind,” he confessed. 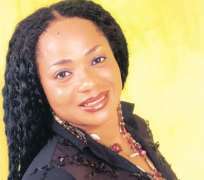 Stephnora Okere is a Nollywood star actress, and has featured in several movies. She was at some point married to Lanre Falana who ditch her at some point and eloped with another woman, the woman even have a baby for him, now.